31128 & 31180 pass Woburn Sands on 28 April 1990 with the 6A13 13:40 Willesden to Forders Sidings spoil. This was material removed from the North Circular road widening works. 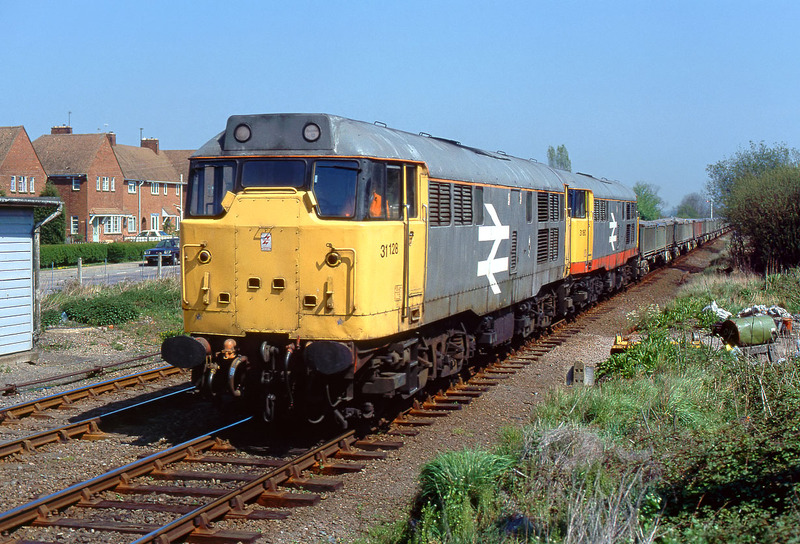 Note the difference in livery between the original version of the Railfreight grey colour scheme, and the later 'red stripe' livery. Also note the mismatched and badly aligned cabside number on 31128.